To help practitioners engage in conversations about what it is to be a nurse or a midwife, to understand and articulate their value as professionals, and to celebrate and challenge their own and others’ practice and behaviours in order to uphold professional standards, the Chief Nursing Officers (CNOs) for England, Northern Ireland, Scotland and Wales commissioned an evaluation process that resulted in the drafting of a code of conduct that would set standards of practice across the region. The work brought together nursing and midwifery leaders across all levels of practice to draw on their experience and knowledge. 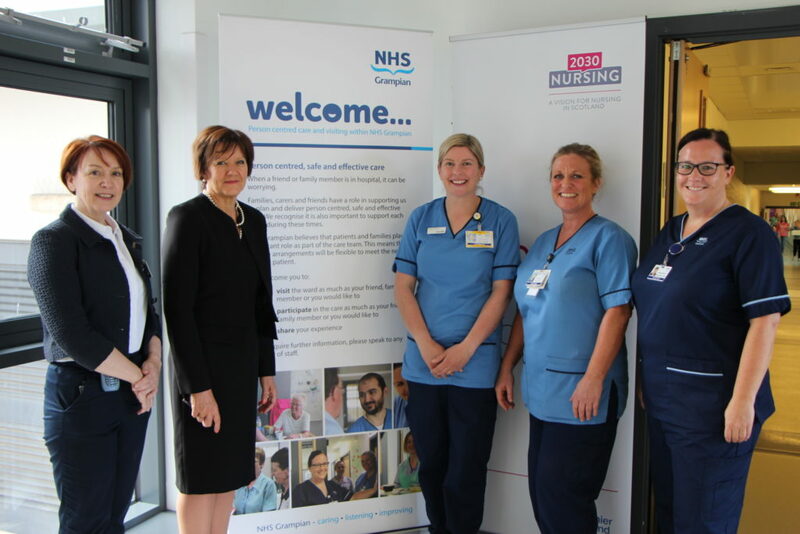 The effort was supported by the Nursing and Midwifery Council (NMC), led by Professor Charlotte McArdle, Chief Nursing Officer for Northern Ireland, and supported by the Northern Ireland Practice and Education Council for nursing and midwifery. Professionalism has been linked to improving care safety, quality and experience, yet the current financial and operational pressures on the National Health Service, and a prevailing culture of performance management, can have an adverse impact on nursing resilience and professional identity. Difficulties recruiting and retaining nurses are highlighting the need to enhance the image of nursing, promote professional pride, support nurses to stay in the profession, and empower nurses and midwives to bring about better health and care outcomes. Good health and care outcomes are dependent on the standards of professional practice and behaviours of nurses and midwives. However, professionalism is difficult to define and can have different meanings to different members of the nursing and midwifery community. In the four United Kingdom (UK) countries, despite significant work, there was no recognised definition of professionalism, the term being applied broadly and open to interpretation. Often the driver to consider the topic has been a perceived lack of professionalism. In the UK, some of the previous work was completed in response to national recommendations following high-profile institutional care failings – such those at Mid Staffordshire Foundation Trust and University Hospitals of Morecambe Bay Foundation Trust. There was subsequently an effort to define, promote and measure professionalism to ensure consistently high standards of care. In 2016, the NMC introduced a three-yearly revalidation process for nurses and midwives to demonstrate that they are fit to practice against a revised Code of Conduct. The 2015 code sets out a clear expectation of the practice, behaviours and attitudes required from nurses and midwives, including standards for upholding the reputation of the profession. Revalidation comes at a time when nurses are taking on new and advanced roles, and when different ways of delivering services are raising new issues of professional accountability. The role of the healthcare assistant, aligned to the family of nursing and midwifery, also emphasises the professional responsibilities that lie in the delegation of care. Enabling Professionalism in Nursing and Midwifery Practice aims to describe, for the first time, what professionalism looks like in order to support the everyday application of the NMC’s professional Code in practice environments across the UK. For employers, it identifies key principles that will help them provide practice environments that support and encourage professionalism among nurses and midwives. Enabling Professionalism has been produced in a PDF format for ease of access by nurses and midwives wherever they work. Three animations based on scenarios gleaned during live testing have also been produced, to demonstrate potential uses for the framework in guiding conversations about professional practice. The framework is currently being implemented at varying pace across the UK, with some exciting results. DuPree, E., Anderson, R., McEvoy, M.D., Brodman, M. (2011). Professionalism: A Necessary Ingredient in a Culture of Safety. The Joint Commission Journal on Quality and Patient Safety. 37(10): 447 -455. Gulzar, S.A., Karmaliani, R., Shamsuddin, S., Noorani, S. and Shah, A.A. (2017). Empowerment among women nurses: a conceptual review of literature. i-Manager Journal on Nursing; 6: 4, 20-29. Morgan, J., Hopkins, W., Acreman, S. Jewell, K., Garwood, L., Candy, E. (2014). What does professionalism look like? Attitudes and behaviours derived from a Delphi Study. Nursing Management. 21: 28 – 40.